Succeeding in the healthcare field means more than just making a diagnosis and writing a prescription. Healthcare professionals are responsible for convincing patients and their family members of the best course of action and treatments to follow, while knowing how to make the right moral and ethical choices. 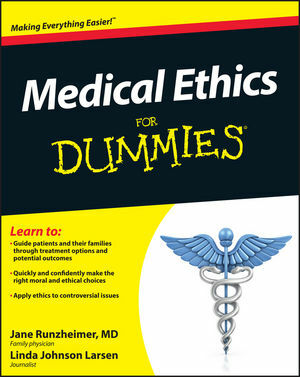 Unlike daunting and expensive texts, Medical Ethics For Dummies offers an accessible and affordable course supplement for anyone studying medical or biomedical ethics and includes moral issues surrounding stem cell research, genetic engineering, euthanasia, and much more. 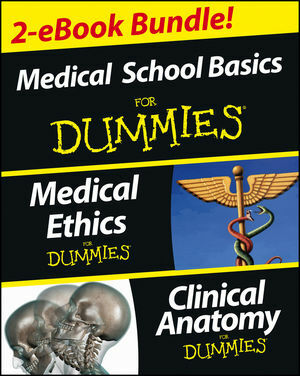 Clinical anatomy is the study of human anatomy as it relates to clinical practice. Unlike a basic anatomy and physiology course designed to teach general anatomical knowledge, clinical anatomy focuses on specific structures and issues that people may encounter in a clinical setting. 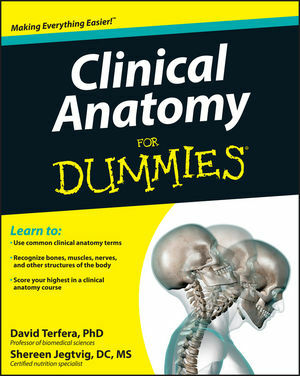 Loaded with clear definitions, concise explanations, and plenty of full-color illustrations, Clinical Anatomy For Dummies presents a friendly, unintimidating overview of the material covered in a typical college-level Clinical Anatomy course. Jane Runzheimer, MD, is a family physician who has served on the Ethics Committee of Methodist Hospital in St. Louis Park, Minnesota. Linda Johnson Larsen has written 24 books, many of which have an emphasis on health, and has been a patient advocate for her husband and several family members. David Terfera, PhD, teaches biomedical sciences at the University of Bridgeport College of Naturopathic Medicine. Shereen Jegtvig, DC, MS, is a health and nutrition writer. Jane Runzheimer, MD, is a family physician who has served on the Ethics Committee of Methodist Hospital in St. Louis Park, Minnesota. Linda Johnson Larsen has written 24 books, many of which have an emphasis on health, and has been a patient advocate for her husband and several family members. David Terfera, PhD, teaches biomedical sciences at the University of Bridgeport College of Naturopathic Medicine. Shereen Jegtvig, DC, MS, is a health and nutrition writer.